Heat oven to 400°F. Spray 9-inch glass pie plate with cooking spray. In 10-inch skillet, cook sausage over medium-high heat, stirring occasionally, until no longer pink; drain. Sprinkle sausage, chicken, spinach, onions and 1/2 cup of the cheese in pie plate. Bake uncovered 30 to 35 minutes or until knife inserted in center comes out clean. Sprinkle with remaining 1/2 cup cheese. Bake about 2 minutes longer or until cheese is melted. Let stand 5 minutes before serving. 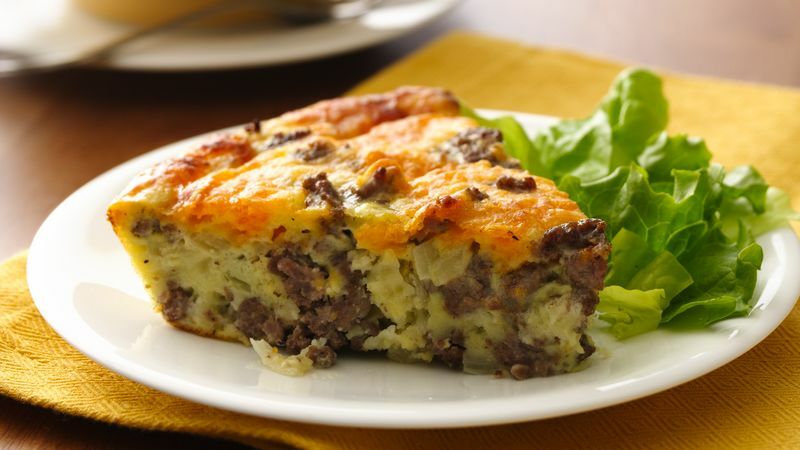 Monterey Jack or mozzarella cheese would also work well in this recipe. Chopped turkey can easily replace the chicken. Use chicken that is freshly cooked, canned or purchased from the deli to make this recipe into an easy supper.